The shooting at the mosque left six dead and 19 wounded. Alexandre Bissonette, a student at Laval University, has been charged with six counts of first degree murder. Montreal, along with the rest of Canada, has been rocked by the shooting. 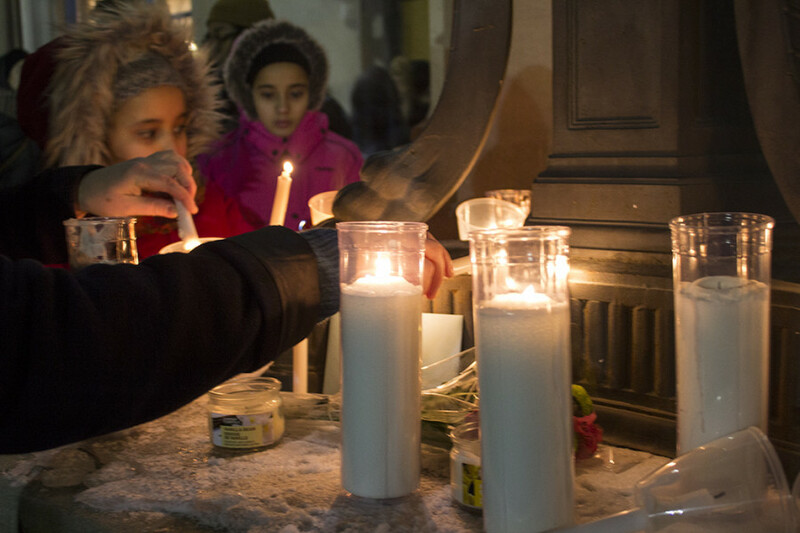 Thousands of people stood in the frigid cold, holding candles, listening to speakers, and talking to each other. 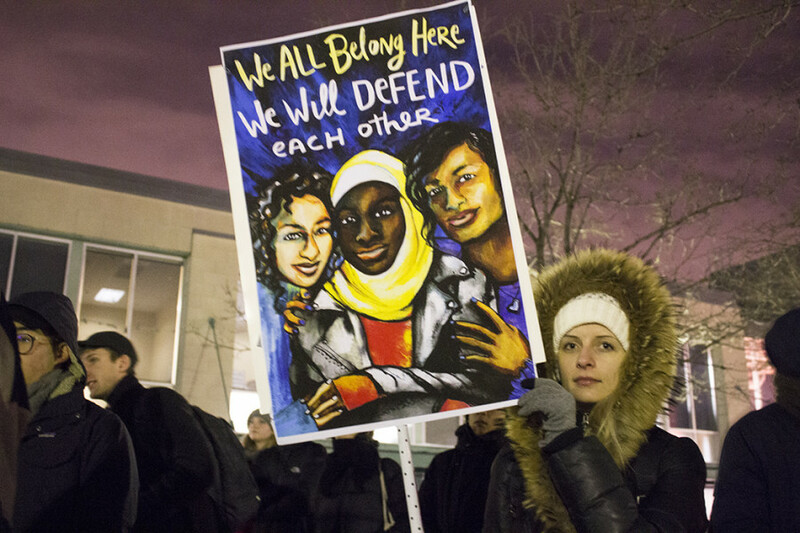 The vigil, labeled specifically as a “citizen’s initiative,” was organized by a group of activists who deal with minority groups, one that came together specifically for this event. 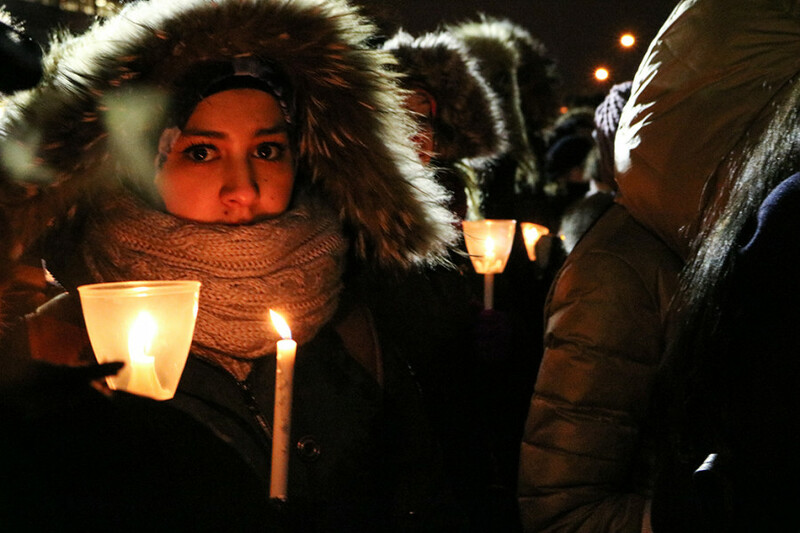 Several speakers spoke during the vigil from various ethnic backgrounds, all belonging to the Muslim community. One of these speakers was Sameer Zuberi, a Montreal-born, Concordia University alumnus. As police investigate the motivation behind the attack, Zuberi said U.S. President Donald Trump’s travel ban and the Québec City shooting represent a deeply rooted cultural problem that is surfacing into the light for both countries. “There’s been a normalization of Muslims being made into a problem, and this is now the impression of the average person,” he said. “There needs to be a serious rethink about that and, as Premier Couillard said, words do matter,” he continued, referring to the way the Muslim community is addressed by policy makers and public officials, whom he called on to work to promote the contributions to society made by minorities in more prominent way. Visual artist Aquil Virani was in the crowd, encouraging people to write a short message to the Muslim community on a piece of art he made of two hands in a position of prayer. “I wanted people to come together to express themselves with a little bit of art therapy and to see what other people have wrote,” Virani said, as he passed on markers to eager people coming to sign themselves. Author Nahed Alshwa, President of the Arab Canadian Culture Centre in Montreal, was also attending. Alshwa, a mother from Palestine, said she came to Canada partially for a better life for her children, and says her view of Canada as a “beautiful” diverse country hasn’t changed despite the attack. “I was devastated [when I heard the news]. My daughter was outside and I thought, what’s going to happen if there’s a move against Muslims?” said Alshwa. “This branding of people as terrorists is totally unacceptable and not logical. It’s not about religion, it’s not about where you are from. Those people are sick, as simple as that,” she said. 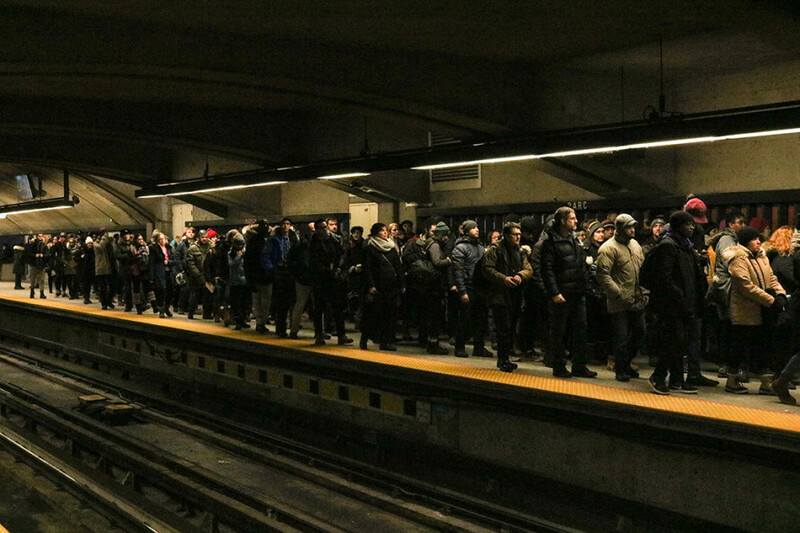 Parc Metro was crowded from door to train tracks as the crowd dispersed into the night. 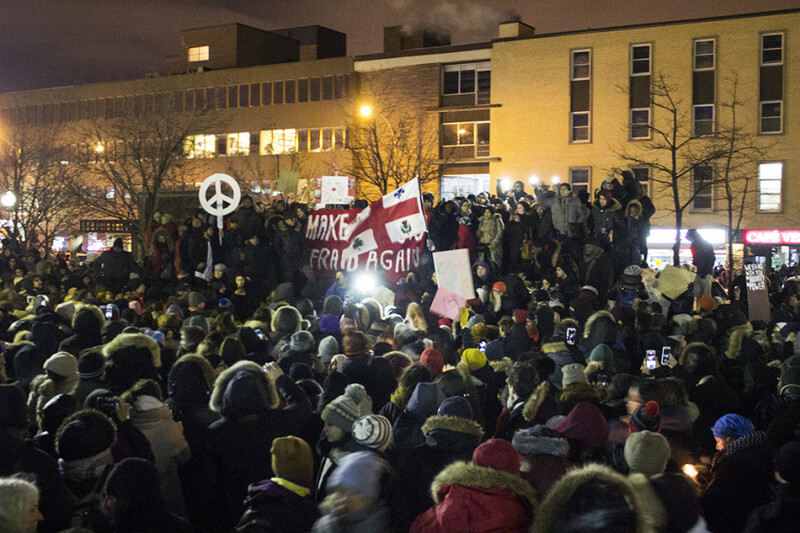 Although a wide range of emotions brought people out to the vigil tonight, the crowd shouted hope and solidarity in the face of violent, senseless intolerance.